Join Craig Hartenberger this Saturday at 4PM to hear about his show Translate in Baltimore Clayworks' Project Space before in closes! TRANSLATE is based around a body of work Craig made between 2013 and 2016. Central to this exhibition, as the name says, is the exercise of translating familiar ideas into new materials and exploring outcomes across a diverse body of materials and firings. These works were made as he traveled between Mexico, Denmark, and the United States; each locale leaving its distinct impression on the finished work. This exhibition is not just an exploration of material and touch, but also of thought and placement. Which perspective is correct? Does an answer even need to exist? Baltimore Clayworks will showcase the best in established and emerging artists of color, (African American, Latino, Indigenous and Asian) who may not be receiving the attention they deserve in People of Color. People of Clay. The unifying component of the show is the artist's love of clay, the voice they found upon first touch, the freedom, vitality and possibility inherent in the material. Artists Include: Gina Aparicio, Mariana Baquero, Gerald Brown, Sophia Capaldi, Patsy Cox, Rachel Eng, Christina Erives, April Felipe, Michel Fujita, Blanca Guerra Echeverria, Aisha Harrison, Kahlil Irving, Akiko Jackson, Rob Kolhouse, Jae Won Lee, Courtney Leonard, Roberto Lugo, David MacDonald, Julie Moon, Jiha Moon, Malcolm Mobutu Smith, Nathan Murray, Mario Mutis, Sharon Norwood, Ruben Olguin, Mercedes Ortiz, Sonya PauKune, E. M. Ray, Nigel Rudolph, Nan Smith, James Watkins. In conjunction with this exhibition, we are pleased to include Sharif Bey in the Solo Gallery. Bey is an Associate Professor of Art Education, teaching ceramics at Syracuse University. His work is inspired by functional pots as well as non-western rituals and practices. 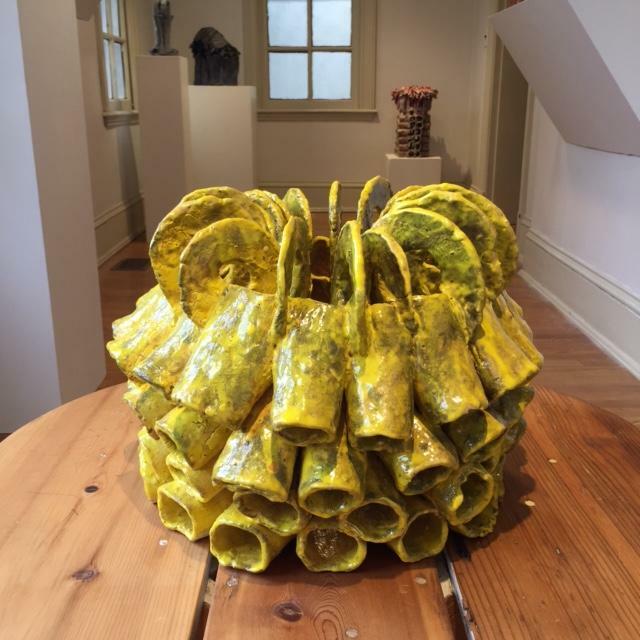 Clayworks also welcomes long-time Community Artist and teacher, Sallah Jenkins in the Community Arts Gallery and Baltimore native, Oletha DeVane, in the Project Space. With a choice of Hand-building and Potter's Wheel, there is something for many ages and interests this summer at Clayworks! 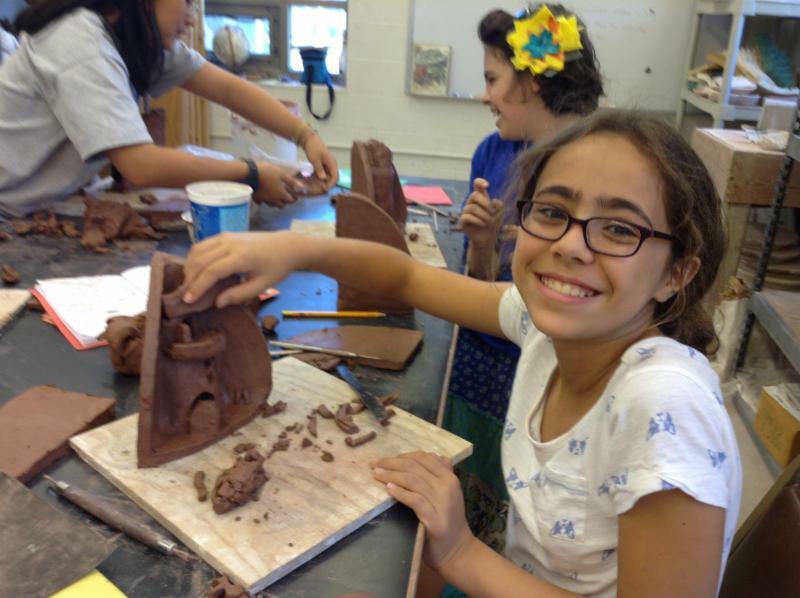 Using slabs, coils and pinching, along with sculpture and wheel techniques, campers create projects based on the themes like Up Your Game, Channeling Vincent, Digging for Treasurers, Clay Graffiti among others this summer - using the material of clay to engage their minds, use their hands, and have fun! Check out the full list of Summer Camps here! Clayworks' Cup-a-thons directly support the Community Arts Program. Come to the Mt. Washington classrooms for a free opportunity to learn and make cups, which will then be glazed and fired to be sold to support community arts. Don't worry, if you like the cup you made, you can buy it back for just $10!